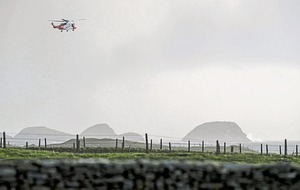 The wreckage of an Irish Coast Guard helicopter which struck an island and crashed into the Atlantic has been found. A remotely-operated vehicle (ROV) sent down into the water to film a specific area of seabed has confirmed the aircraft is lying about 60m off Blackrock island, off the coast of Co Mayo. The Sikorsky S92 is believed to have hit the island before crashing into the sea over a week ago. Captain Dara Fitzpatrick, a 45-year-old mother-of-one, is the only one of the four crew to have been recovered from the ocean so far. The other crew members, Captain Mark Duffy, Winchman Ciaran Smith and Winch Operator Paul Ormsby, remain missing. The Irish Coast Guard said the Dublin-based Rescue 116 helicopter is lying on the seabed, in about 40m of water, on the eastern side of the island. The remotely-operated vehicle was not able to confirm if the three missing crew are with the wreckage. "Operations are continuing but are weather dependent," Ireland's Air Accident Investigation Unit said. The discovery was made after weather conditions eased sufficiently to deploy a submersible robot, attached by cables to the Irish Lights Vessel Granuaile, to film the seabed. It is hoped further submersible operations can take place later but as weather conditions change and winds and swells build it is unlikely dive teams will be able to get into the water. The helicopter is lying in an area from where signals from the black box flight recorder are emitting. 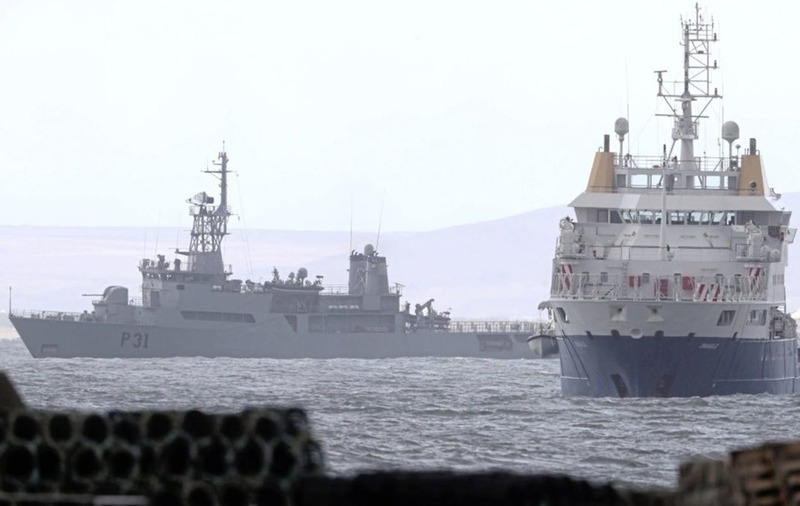 The Granuaile is using Holland I and Holland II ROVs from the Marine Institute and the Irish Naval ship LE Eithne is coordinating the recovery operation with the support of the Irish Coast Guard, gardai, the RNLI and fishermen with local knowledge of conditions. The Irish Lights Vessel is primarily used to place and service the 150 buoys off Ireland's shore. It has a heavy-lifting crane as well as dynamic positioning technology, which allows it to remain in the same spot on the surface, much like an aircraft would hover, so divers or remote operated vehicles can be put into the ocean. The underwater terrain, part of the lighthouse rock and dangerous underwater currents in the area are adding to difficulties around Blackrock but the forecast is for fair to moderate until the weekend with swells easing. The ROV, attached to the ship by cables, has the ability to send back live pictures. 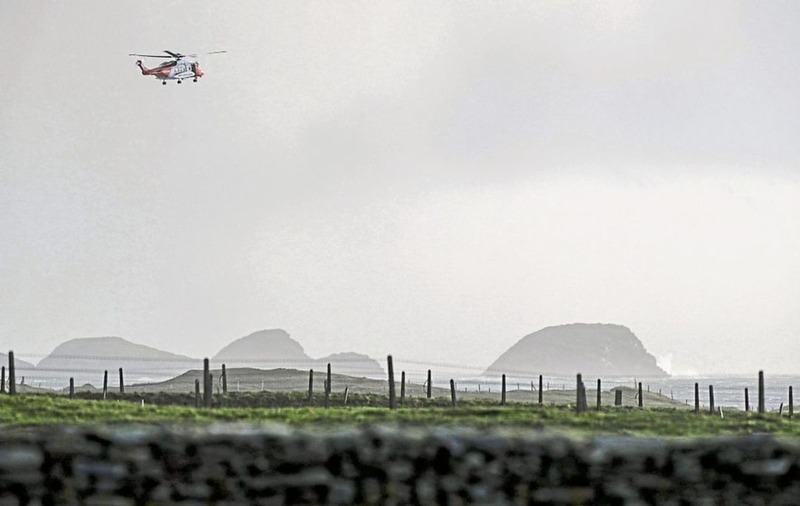 The AAIU has said it believed the tail of Rescue 116 hit rocks on the western end of the island, about 13km off the Mayo coast as it returned from supporting a rescue mission to refuel at Blacksod. There was no indication of any danger moments before the Sikorsky S92 vanished, with the crew's final transmission: "Shortly landing at Blacksod." Relatives of the missing crew and local people and others involved in the search mission held a candlelight vigil down on the shoreline near Blacksod on Tuesday night.